Born and raised in the Kansas City area, Dana’s passion for real estate was an inherited trait. Her dad bought and sold farms in Johnson and Miami counties in Kansas and Colorado for over 50 years. Her family spent many Sundays driving around looking at farms for sale. At 16, she worked at a real estate company putting together farm ads for their brochure and invested her summer earnings in her first ten-acre purchase. Dana worked for her dad off and on over the years, learning from a master land investor. After graduating from a Missouri high school, she attended The University of Kansas for three years, and finished her last year at the University of Missouri in Kansas City, where she obtained her Bachelor’s of Business Administration, with an emphasis in marketing. During college, she worked at the historic Benjamin Ranch. Through her association with the ranch, she was given the opportunity to hone her marketing skills and later as member of the Benjamin family, became involved with buying and selling of farms on the Missouri side. During this time, she became acquainted with a great number of people in the horse industry. Dana is a member of the National Association of Realtors, the Kansas Association of Realtors, the Kansas City Regional Association of Realtors, and the Heartland Multiple Listing Service and the Lawrence Board of Realtors. 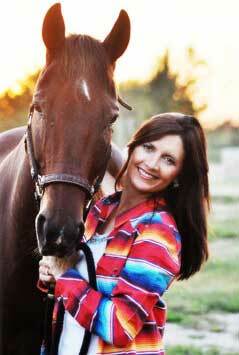 Dana is on the Board of Directors for Heartland Therapeutic Riding, a sponsor and volunteer for the American Royal, a member of the Kansas Horse Council, and the American Quarter Horse Association. Committed to growth and self-improvement, Dana attends the National Association of Realtors Convention, the International Builders’ Show, webinars and continuing education on a regular basis. When it comes to marketing, her “outside the box” approach sets her apart from other realtors and maximizes exposure of her listings and brand. In 2016, Dana’s team reached a new high and sold over $16 million in real estate.